To display a custom currency symbol with prefix or suffix, there are 2 lines you may want to modify which will help display them in Pipeline. Scroll down to Currency, choose the currency you'd like to us and press Save. 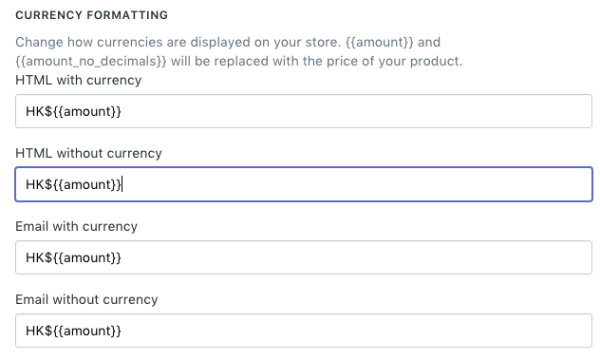 Then come back to the same section and choose "Change formatting", here you can make the adjustments (please note, after changing the currency option you'll need to save and then return to this section for the additional settings to appear correctly). In the second box, HTML without currency, you can add your symbol, prefix or suffix (replicate the first setting). Do the same for the last one, Email without currency. Save again. 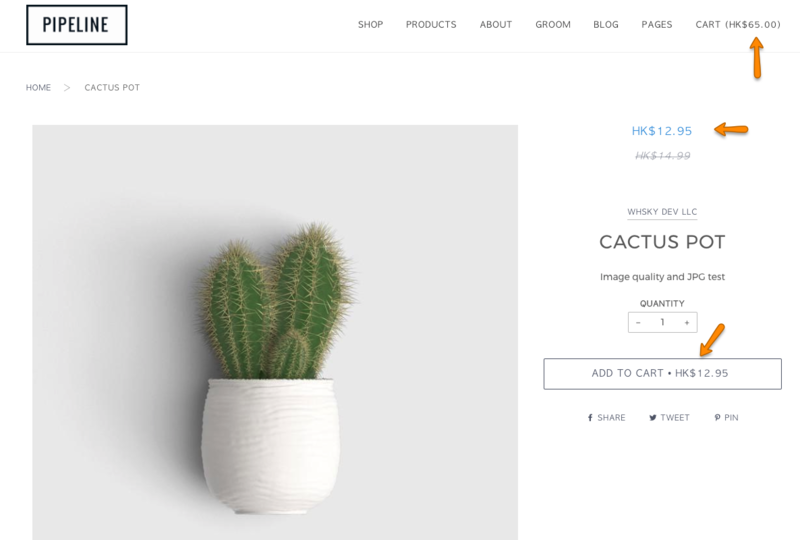 This should help display the correct format for your currency on the product pages and email confirmation.